For book lovers seeking a bit of peace and quiet, libraries are a great hideout. Luckily, London is full of them: big libraries, tiny libraries, and aesthetically-pleasing libraries, all bursting with books to borrow and read. 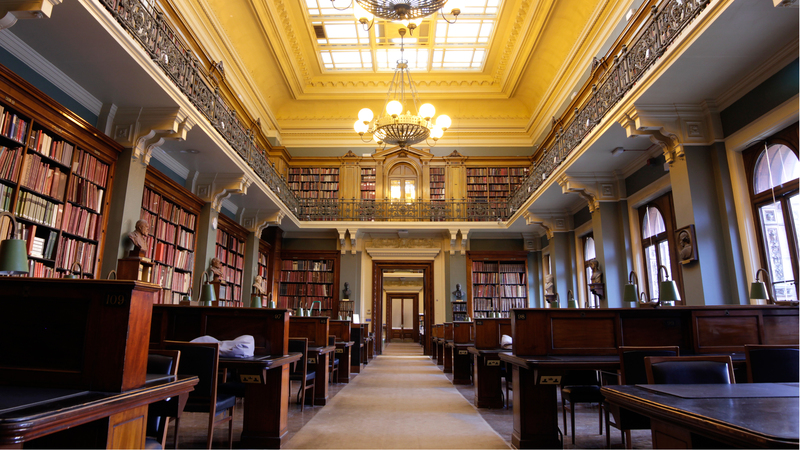 Below Top Sights Tours has compiled a list of the best libraries in London for all book lovers. The British Library, a no brainer, is not just the largest library in terms of number of items catalogued in London, but the world. Though you need to a be a resident of the UK to be able to access the reading rooms, once you are eligible the membership is free to the 150 million items, sourced from across the world. A copy of everything ever published in the UK is held by the library which was created in 1973 and the institution plays host to many ground-breaking exhibitions and research projects conducted throughout the year. Standing on the busy intersection outside Bethnal Green tube, you might think you’ve stumbled across an out-of-place stately home in the middle of East London. You haven’t. You’re actually looking at the beautiful buildings of Bethnal Green Library, which first opened its doors way back in 1922. Today it boasts a fully-stocked library of treasures for both adults and children, as well as two hireable rooms for up to 100 people each. That’s one massive book-slam just waiting to happen. Formerly known as University of London Library, this library resides in – you guessed it – Senate House, and stretches from the fourth to eighteenth floors of the building (although only storeys four to seven are open to the public). The dominant-looking building was famously used by the Ministry of Information during the second world war. Indeed, it’s believed to have inspired the description of Orwell’s Ministry of Truth building in his novel Nineteen Eighty-Four. The leather sofa Reading Room is the most impressive space of all, perfect for curling up with a book (or for a sneaky nap). The first of the specialist libraries on our list, the Guildhall Library is the definitive resource for London history. It has 200,000 primary documents dating from the 15thto 21st century, including special collections dedicated to Samuel Pepys, John Wilkes and Thomas More. The nature of the collections means that the Guildhall Library is a great place to conduct historical social research of London as well an invaluable research for plotting out your own family tree. This public library was the final building designed by English architect E Vincent Harris, who also built the damn fine-looking Manchester Central Library, among many other civic beauties. With nearly 50 years worth of experience behind him when the project began in 1958, it’s no surprise Harris’s swansong is such a stunner – just check out that spacious floorpan and those bold, authoritative pillars. 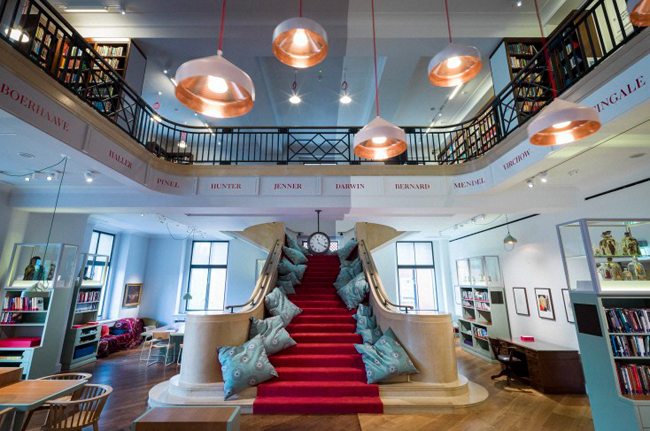 We have to give a mention to the Wellcome Library. Not simply for its status as a major resource on the history of medicine, but also for its most excellent, newly-refurbished Reading Room. We were lucky enough to get a glimpse at this space while it was still in the construction phase and even then we were excited. But the finished result is even better than expected. Take your books and bed down in this library/gallery/meeting space hybrid. As well as hundreds of books, visitors can also enjoy dozens of sculptures, artworks and medical artefacts. It’s light, it’s bright, it’s colourful and possibly as far away from the hush-hush stuffy library stereotype as you can get. This gorgeous library is hidden away within the V&A, but once you’ve been in you’ll wonder how you never noticed it. Its collection contains books on prints, drawings, woodwork, textiles, metalwork and many more subjects relevant to the museum its housed in. 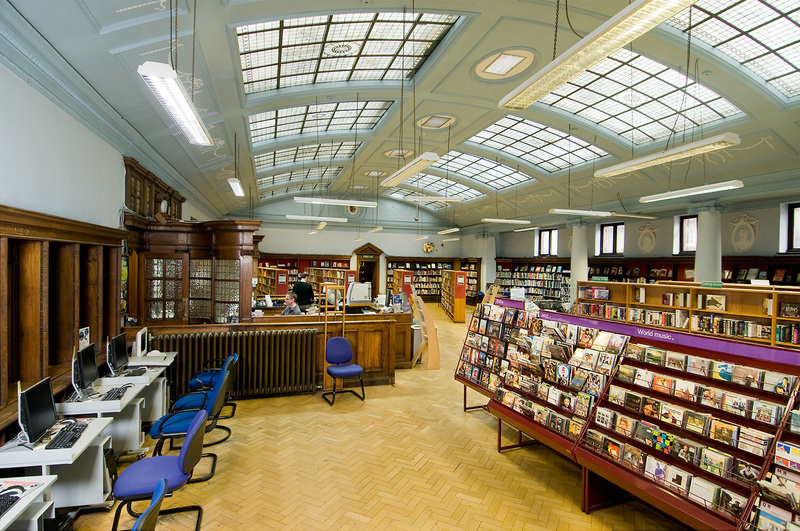 As a major public reference library it’s free to join – all you need to do is provide ID with proof of address. Or you can just peer in through the glass in its huge double doors.